The most anticipated phone of 2013, Samsung Galaxy S4 is already available in Bangladesh just after one day of Indian release. Though we are waiting for the official release from Samsung Bangladesh but for those, who cant wait until that its a very good news indeed. You can buy Samsung Galaxy S4 from all the top mobile phone stores around Dhaka city. The price is not stable yet. But it is around 50,000 taka or $650 USD. This is definitely a high price considering you have no warranty with it. But its quite normal for a flagship device like Galaxy S4 at the beginning of its journey. Samsung Mobile Bangladesh will be selling this phone from 18 of May. There asking price will be 67,500 taka which includes 2 years of complete device and service warranty. 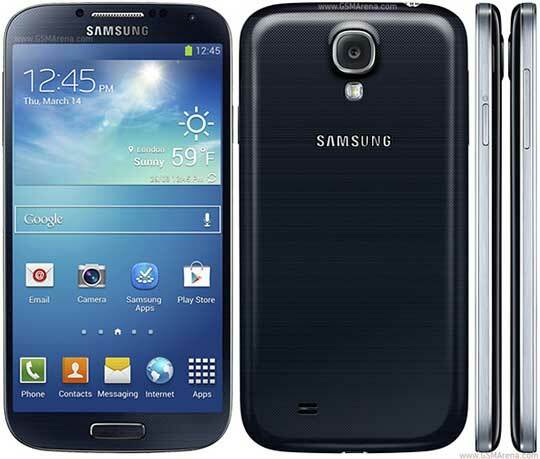 Samsung Galaxy S4 is the high profile successor to the Samsung Galaxy S3. The phone has a 5-inch Super AMOLED screen with a full-HD 1080p display resolution, 2 GHz Octa-core Exynos 5410 CPU, with quad-core 1.6 GHz Cortex-A15 & quad-core 1.2 GHz Cortex-A7 cores working in conjunction and 2 GB RAM. The device runs on the latest version of Android 4.2.2 Jelly Bean with Samsung's TouchWiz Nature UX 2.